Fuyu Jiro Persimmon | Gurney's Seed & Nursery Co. The #1 fresh-eating persimmon in America! A completely different persimmon experience, this non-astringent variety offers a mellow, sweet flavor without the pudding like texture. Some have likened the sweetness of the crisp fruits to a cantaloupe. Extremely productive tree grows to a mature height of 20-30 feet and bears fruit at a young age. Deciduous green foliage turns brilliant orange-red in fall. Plant in full sun. Self-pollinating. Zones 7-10. FoliageDeciduous. Attractive green foliage turns brilliant orange-red in fall. FruitLarge, round, reddish-orange fruit, slightly flattened, with sweet, firm, orange flesh. Non-astringent, one of the very best for fresh eating. Does not have male flowers. It will not have seeds unless planted with other varieties. Soil RequirementsFertile, well-drained, loamy soil. Does not like wet conditions. CommentsThis is one of the very best for fresh eating! Enjoy beautiful, reddish-orange, sweet fruit that can be eaten like an apple. 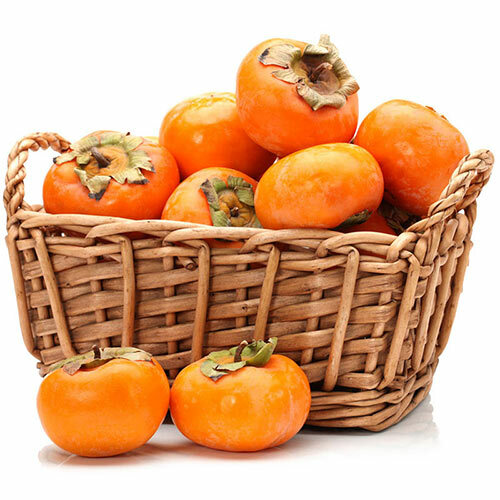 This non-astringent persimmon can be eaten when a little firm, but is at its very best when allowed to soften a little. Ripens in late fall, with the fruit hanging from bare stems. Bears at a young age and is very productive. Not only is its fruit delicious, but it also adds ornamental value to the landscape with its brilliant fall foliage in shades of orange and red. Requires less than 200 chill hours. Tolerant of heat and humidity. DepthDig a hole large enough to accommodate the roots without bending them. Plant at the same level it was in the nursery. A line should be visible that shows the depth.